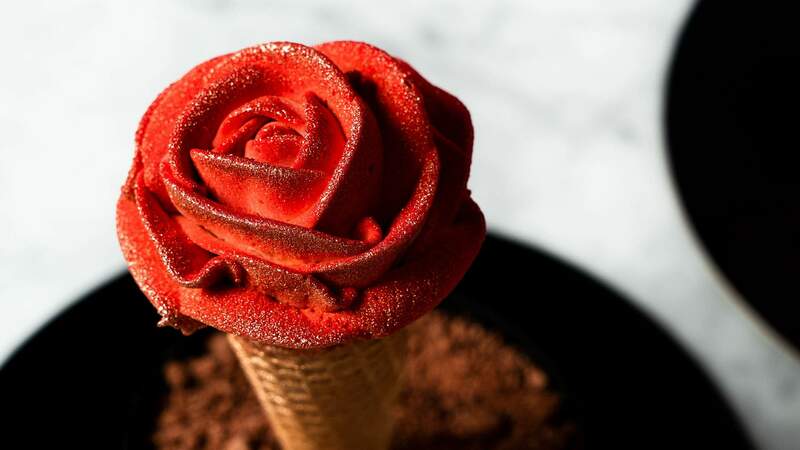 For loved ones that prefer their flowers edible, Gelato Messina is once again happy to oblige. 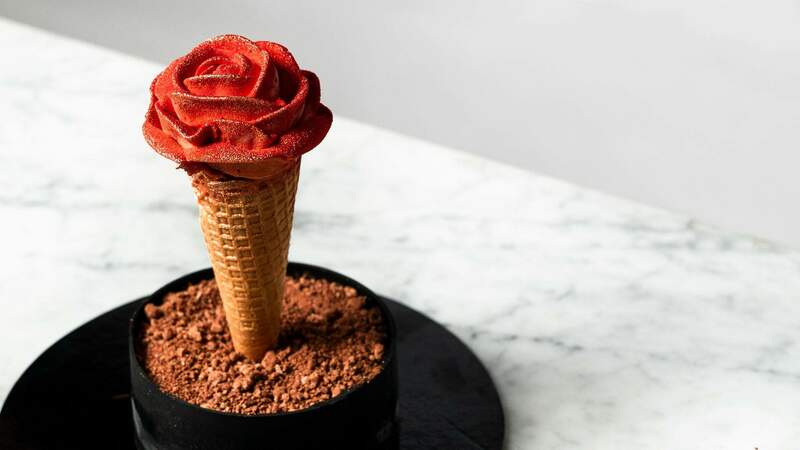 It has created a new frozen floral creation, dubbed Feeling Thorny, a limited-edition gelato rose, which will be released exclusively for Valentine's Day this year. The glittering red rose is complex inside and out — in true Messina fashion. Petals are made from salted caramel chantilly, laced with strawberry compote and dulce de leche, and the rose is set atop a white chocolate-lined waffle cone filled with dulce de leche and earl grey gelato (and more strawberry compote for good measure). It's then placed in a 'flower pot' made from choc-hazelnut praline mousse and chocolate brownie crumble, sitting on an edible chocolate disk. Yes, it's as decadent as it sounds. To serve, the dessert needs to be removed from the freezer to the fridge ten minutes before you're ready to indulge, then cut down the middle (using a hot, sharp knife) to reveal the cross-sections of gelato inside. The treat can only be out of the freezer for 30 minutes, so plan accordingly. The rose will cost you $40 — likely less than a dozen (non-edible) V-day roses — with one rose serving two. Orders are only available for pickup on February 13 or 14 from noon–10pm and quantities are limited. Feeling Thorny is available at seven Sydney locations — Rosebery, Darlinghurst, Tramsheds, Bondi, Parramatta, Miranda and Penrith — as well as at South Brisbane, Melbourne's Fitzroy and Canberra's Braddon outposts.